It's been a long wait when you've got Sidney Crosby and Evgeni Malkin in your team but the Pittsburgh Penguins have returned to the Stanley Cup Finals seven seasons after winning the Stanley Cup in 2009. Crosby was 21 and Malkin 23 when Pittsburgh beat Detroit in 7 Games and no one doubted the Penguins would be back to contest Lord Stanley's Cup again... it's just they didn't think it'd be 2016 before they did. This time around Marc-Andre Fleury (stellar in the regular season) is the backup in goal behind a 22 year old rookie called Matt Murray, and Crosby and Malkin are surrounded by a fast, hard working and tenacious group - headlined by a seasoned Kris Letang on the blue-line and a pure goal-scorer who Toronto didn't want to pay anymore in Phil Kessel. For this Pittsburgh fan - currently typing away in a Sydney cafe wearing a late 1990s Penguins jersey (and getting strange looks) - this feels like Christmas. I have my favourite teams in many codes but the Penguins are only #2 to one side and they are truly not far off #1. But they are the team that most certainly gives me the most joy as a devotee. 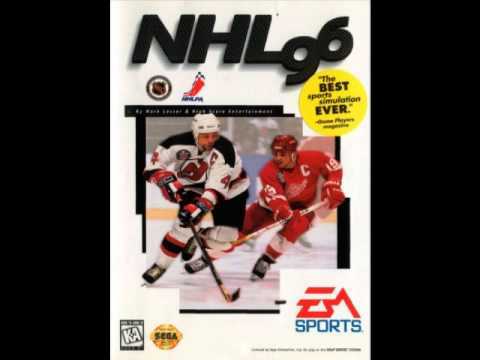 Something about growing up and seeing the likes of Mario Lemieux, Jaromir Jagr and Ron Francis score at will made me an almost instant Pittsburgh fan... and that was playing NHL 96 more than watching them in real life! My journey to love the Pens was indeed started by a computer game that may or may not have ruined my high school study habits, but once I saw clips (then games on ESPN in Australia when a friend got PayTV in 1996 and would tape the games for me) - I was hooked on Hockey and the Penguins. Fast forward a few years, I'm distraught when Mario retires... so I decide that post-High School I might as well live my dream and be in Canada. #Flashback: #1999 with the #StanleyCup in #Toronto, #Canada. #Pens playoff run starts today... Go you good things! What a year 1999 was - I saw Wayne Gretzky retire (not in person but at least I was on the same continent) and pass his torch to Jagr... I saw Junior Ice Hockey at its best in the OHL with the Sault Ste. Marie Greyhounds playing in my town and being able to cover them online (still crucial to where I am today professionally) for a Canadian audience and not have them realise I wasn't brought up on the sport. But my Penguins got rolled by the Toronto Maple Leafs in the Eastern Conference Semi Finals despite Jagr being amazing... but I stayed the course. And almost a decade later (after Mario came back, then Jagr got dealt and Evgeni, Sid and MAF got drafted) - the Pens made it to the Cup Final against Detroit and got beat... but the signs were there. The next year we did the business (again v Detroit) and I experienced sporting fan nirvana for the first time since 1994 when my Canberra Raiders won the comp in the NRL. I had been spoilt - Fleury's sprawling save to deny Nicklas Lidstrom in the final seconds of Game 7 was a rush that just hadn't been rivalled in 15 years and I was also old enough to truly appreciate the buzz. You can read and see my reaction to that Game 7 here. So a long long backstory short - the Penguins will take on the San Jose Sharks from Tuesday (Monday in Pittsburgh) for the right to hoist Lord Stanley's Cup again. And I will be finding every which way I can to see as much of it as I can... this time I don't have to rely on a friend taping it and then watching it on a 2-3 day delay... 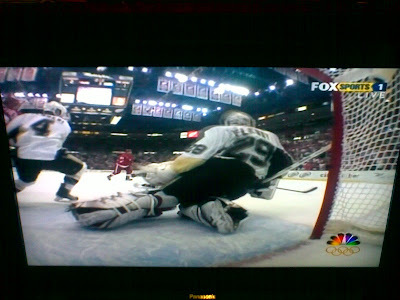 I can simply open my iPhone and watch it live on a superb live streaming service provided by the NHL. It's ridiculously good when I can choose to just watch the goalie cam the whole game on my phone... let alone getting it in near enough HD (something that's beyond major sport digitally in Australia). So will the Penguins win the Stanley Cup for the 4th time? Let's sit back and enjoy the next two weeks... I sure hope so but as evidenced by the length of time between Cup Final visits for a team with superstars like Crosby and Malkin - nothing is certain in sport.